In the spirit of Valentine's Day, since I only put up one little decoration, I thought I'd share the gift of chocolate with you. This is one of my favorite go-to recipes for company, and I almost always have the ingredients on hand. Back when I was teaching, probably around 15 years ago, one of my colleagues invited me to a Southern Living Cooking School event in Fort Worth. 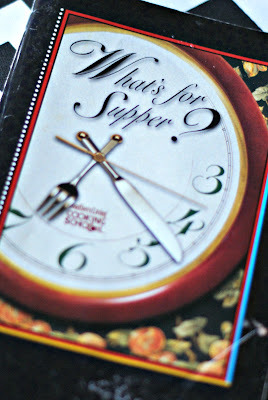 It was a fun evening and they sent us home with a cookbook full of their delicious recipes. This one is super easy and quick, with an impressive Wow! factor if you put a tiny bit of effort into the presentation. **I omit the 6 oz. bag of chocolate chips and divide the 12 oz. bag for the cake and the glaze. I also substiture Half & Half or even milk for the cream and only use about 1/4 c.
*Combine first 5 ingredients in a large mixing bowl; beat at medium speed with an electric mixer for 2 minutes. Stir 12 oz. package of chocolate chips into the batter (I only add about 2/3 of the bag and save the rest for the glaze). Pour batter into a 10 inch Bundt pan that has been greased and lightly floured (a coat of cooking spray is sufficient). Bake at 350 degrees for 50-55 minutes. Don't overcook, a toothpick in the center will not come out clean. *Cool in pan for 10 minutes, and then invert on a cooling rack and cool completely. *Combine remaining chocolate chips and cream in a small saucepan over medium heat, stirring just until morsels are melted (the melt chocolate feature on the microwave works well for this step). 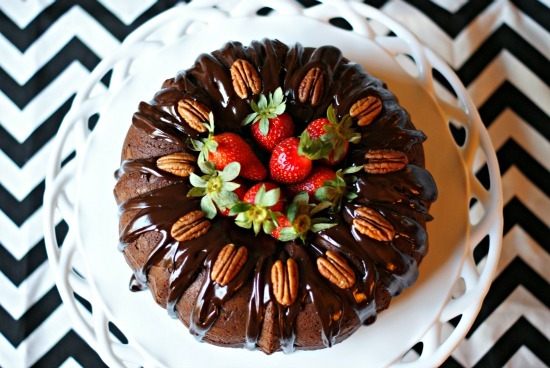 Drizzle glaze over cake and garnish with pecans and strawberries if desired. 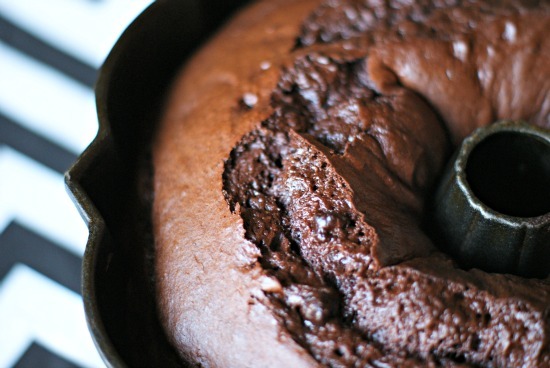 This is a versatile cake, it's great alone or better with a scoop of ice cream! If not eating it right away while it's still warm, it's always better to warm your slice in the microwave just a bit. You want that glaze to be warm and gooey! That's all there is to it! Try it and let me know what you think. YUM!! And very pretty presentation :) Will definitely be trying this one! 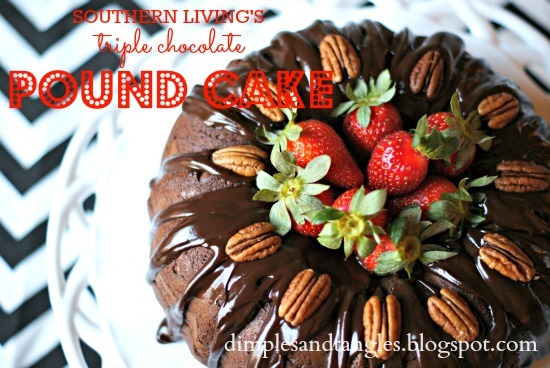 I have a recipe very similar to this that is a family favorite. Love your photo styling!! Beautiful! I just received a new bundt pan and now I have your delicious-looking recipe to make for tomorrow, Valentines Day. Thank you, can't wait! Jennifer, you are trying to torture me! 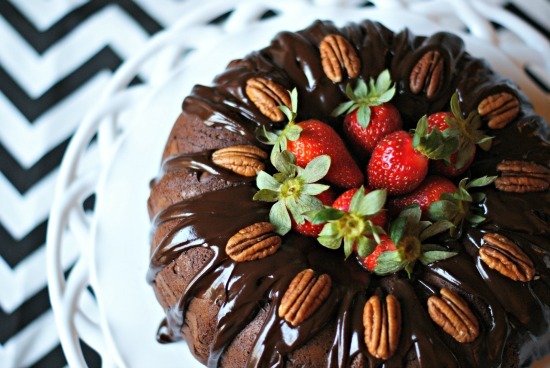 I am trying desperately to stay away from sweets and snacks, and oh my goodness, this looks too delicious not to make, and have you any idea who will eat most of it? Yup, that would be the person in the house who also happens to absolutely love chocolate...me! BTW, your vacation seemed like loads of fun. Even your simple posts are so beautifully done. I know the styling of the ingredients took some time and I appreciate all your hard work. I love reading your blog!! Well, I had a recipe in mind but I think this just changed my mind! 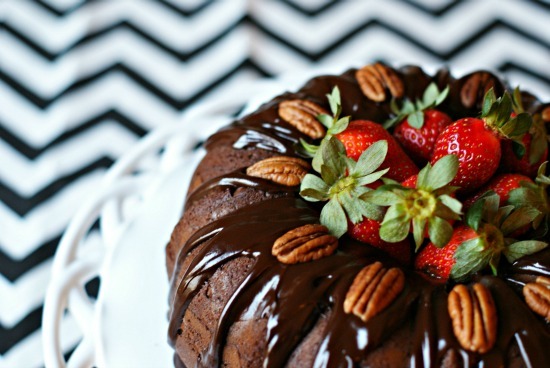 Looks delish and how could it not be with so much chocolate? :) Your photos are gorgeous! 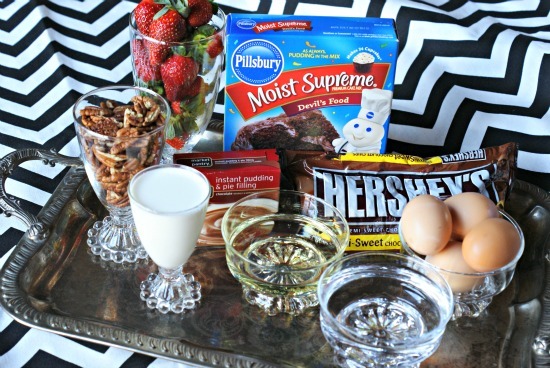 Yep, I know what I am making for tomorrow! THANKS!!!!! 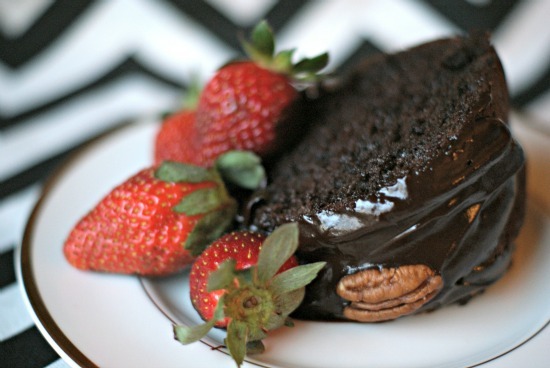 A friend gave me this recipe years ago, she calls it Chocolate, Chocolate, Chocolate cake! :) Great photos! That looks awesome, beautiful pictures too! Looks delicious! I have given up desserts for Lent so I am going to have to wait till after Easter to try this out, for sure.